An earlier era's protest against banking in equities lead to the founding of Lower East Side People's. A Bloomberg report this month showed that the largest banks in the U.S., led by JPMorgan Chase, are closing branches rapidly in poor neighborhoods, even as they open new ones in affluent communities. In other news: water is wet. Banks have a long history of redlining: denying loans and services to people in communities of color. The practice persists throughout the country, notwithstanding the federal Community Reinvestment Act of 1977, which requires banks to equitably serve all communities in which they do business, within the bounds of safe and sound banking. Consider New York, where racial disparities in mortgage lending, foreclosures and branch locations contribute to widening inequality and siphoning of wealth from people and communities of color. For example: There are more than three times as many bank branches, per capita, in New York City’s predominantly white neighborhoods as in its majority black or Latino neighborhoods, according to a recent report by the economic justice group New Economy Project. By failing to serve communities, banks hamper neighborhood development and relegate people to inferior and high-cost financial services – from check cashers and pawn shops to prepaid debit cards and high-cost, predatory loans. Imagine if every New Yorker had access to responsible, affordable banking institutions owned by local residents and dedicated to meeting community needs. In some New York neighborhoods, they already do. 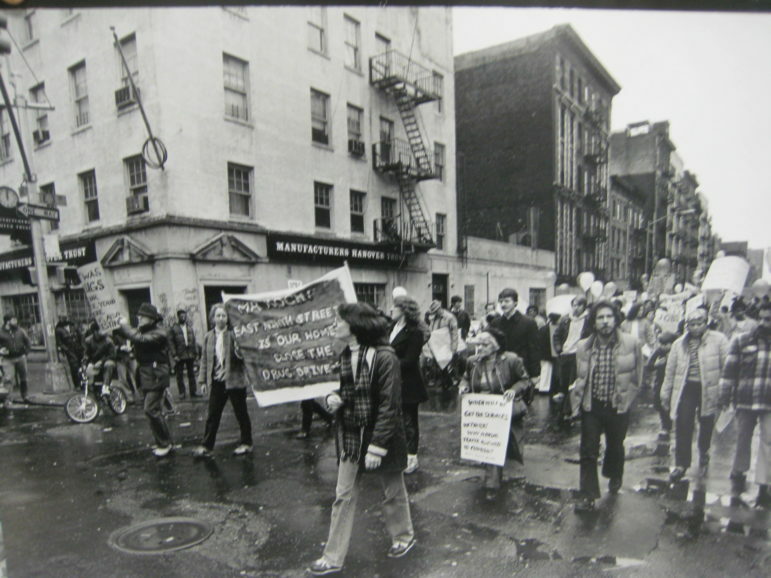 When the last bank branch on the Lower East Side threatened to close its doors in 1986, local activists organized and ultimately established a nonprofit, community-owned credit union – Lower East Side People’s – that occupies the former bank branch to this day. The credit union has since invested more than $100 million in loans to help public-housing residents, new immigrants, and other financially-underserved community members save, establish credit, start and expand small businesses, purchase and rehabilitate affordable housing, and much more. As a mission-driven financial cooperative, Lower East Side People’s exists to serve its member-owners and the communities in which they live. When a member recently came to the credit union facing foreclosure as a result of a predatory mortgage loan that carried an outrageously high 11 percent interest rate – more than double the average rate for a mortgage – Lower East Side People’s worked with him to refinance and save his home. Lower East Side People’s is special but not unique. Across the state, 82 federally-certified Community Development Financial Institutions (CDFIs) – credit unions, nonprofit loan funds and other institutions – serve economically-distressed communities. And they need our support. In 2007, New York passed legislation establishing a fund to support CDFIs, like Lower East Side People’s, to spur community economic development and create wealth in historically-redlined neighborhoods. Twelve years later, the legislature has yet to appropriate a dime to the Fund. Some New York State legislators have in recent years proposed carving dangerous loopholes into New York’s iron-clad usury laws, as a supposed “solution” to redlining. These moves would have opened the door in New York to predatory payday lending and other debt traps, under the guise of “expanding access to credit.” Fortunately, thanks to tireless organizing by a slew of public interest organizations, we were able to defeat these dangerous bills. A better approach is to take our cue from more than 65 labor, civil rights, community, and consumer protection groups across the state that are calling for $25 million in this year’s budget to finally capitalize the NYS CDFI Fund. Because every grant dollar allows CDFIs to make $12 in loans, a $25 million injection of funds would immediately generate $300 million in desperately-needed loans in low-income neighborhoods statewide. We call that a no-brainer. As New York considers legalizing cannabis, CDFIs also represent a ready-made infrastructure to support entrepreneurship and promote equitable small business development in communities that lack access to fair and affordable financing. CDFIs, by definition, responsibly serve lower-income neighborhoods not traditionally served by mainstream banks, including low-income communities of color that have been disproportionately harmed by failed drug policies. New York needs bold solutions like the NYS CDFI Fund to address deeply entrenched inequities in our financial system and economy at large. The governor and legislature must act now. Yuh-Line Niou represents the 65th Assembly District in Manhattan. Maureen Genna is C.E.O. of Lower East Side People’s Federal Credit Union. City Limits’ Jarrett Murphy and Ben Max from Gotham Gazette interview Bronx Borough President Ruben Diaz, Jr., about borough jails, affordable housing and the 2021 mayoral race. Gotham Gazette’s Ben Max and Jarrett Murphy from City Limits talk to Pratt Center’s Elena Conte about the possible adoption of comprehensive planning. The more than 600 fiscal intermediaries statewide allows elderly and disabled people to hire and manage personal assistants. Critics say the governor’s executive budget would cut that number by at least 90 percent by changing eligibility requirements.